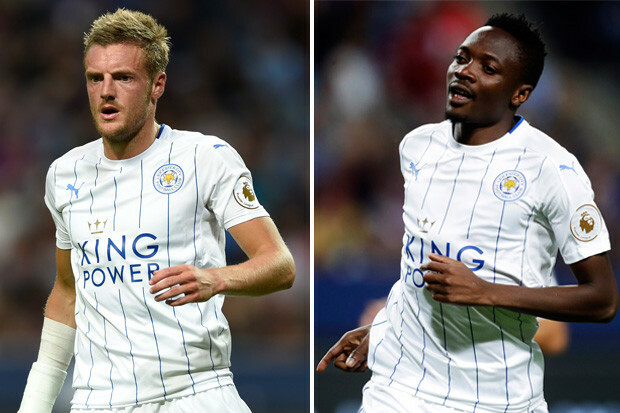 Super Eagles winger, Ahmed Musa has thrown down the gauntlet to his Leicester teammate Jamie Vardy and wants to find out which of the strikers is the fastest. Both possess blistering pace but the statistics from this season make for unhappy reading for Musa as his teammate has the edge. In terms of top speed, Vardy has reached an incredible 35.1 km/h and the former CSKA Moscow man peaked at 33.93 km/h. Musa wants a one-on-one contest to test himself against Leicester’s Premier League winning hero. He told the Guardian: ‘We haven’t tried yet so I can’t say now who is the quickest. But I tell you this – we’re going to have a race one day. Musa has seen his game-time cut by Islam Slimani’s strong run of form but the sight of the Nigerian coming off the bench and lining up alongside Vardy is enough to give any manager cause for concern.